Kambo is the poisonous waxy secretion of a tree frog living in the northwestern part of the Amazon rainforest. The scientific name for this frog is "Phyllomedusa bicolor" or "Giant Monkey Frog". It has traditionally been used by indigenous people to get rid of "panema" or bad luck, which allows life to become easier and flow more effortlessly. Kambo was used for hunting prowess and to cleanse, strengthen and energize the minds and bodies of tribal hunters. Kambo enabled them to have increased speed and stamina, eat less and sleep less during the hunt. Kambo has also traditionally been used by indigenous people as medicine to treat snake bites, malaria, yellow fever, and other epidemic diseases. Superficial burns are made by the tip of a small glowing vine, on the top layer of skin. Kambo is then applied onto the burns or “gates” and thus absorbed into the body subcutaneously, moving through the lymphatic system. The Kambo experience is intense and fast, the unpleasant effects being strong and immediate, but over in about 30 minutes. During this process one experiences a purgative effect and can expect to feel nauseous, vomit, and perhaps need to use the toilet. Purging is thought to eliminate physical, emotional, and energetic toxins. Once Kambo is applied to the skin most people experience warmth of the upper body and face, along with an increased heart rate. Some will have swelling of the face, ears, and slight swelling of the throat. Blood pressure will rise and then fall, at which point one will experience nausea and purge. It is helpful to relax into these sensations, focus on one's breath and let the medicine do its work. Most people feel back to normal after an hour or so. Following a treatment many people report feeling an increase in their vital energy and an overall sense of wellness. According to the indigenous people of the Amazon, Kambo is a Spirit of the forest and is to be treated with respect. Harming the frog could offend the animal and result in severe misfortune. The frog is not injured during the collection of its secretion, and is released afterwards unharmed. Then the secretion is dried onto wooden sticks. 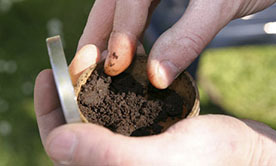 Just before application, water is mixed with the dried secretion and formed into small dots which are placed onto the burn points, as described above. Scientific research on the secretion of Phyllomedusa bicolor started in the 1980’s. Nobel Prize nominee, scientist Vittorio Erspamer of the University of Rome wrote that the secretion contains a "fantastic chemical cocktail with potential medical applications, unequaled by any other amphibian." Kambo contains a unique and complex mix of bioactive peptides which trigger chemical reactions in the human body. Some of these peptides have been found to contribute to heightened sensory perception, increased stamina, increased physical strength, and in general, enhance the capacity to manage pain and stressful situations. The properties of the peptides found in Kambo cover a wide range of potential uses: treatment of brain diseases such as Alzheimer’s and Parkinson’s, depression, migraines, blood circulation problems, vascular insufficiency, organ diseases, skin and eyes issues, fertility problems, AIDS, hepatitis, and cancer. Kambo works on a spiritual level as well as a physical one. The frog helps to connect us with our innate wisdom and shows us what we can do in order to improve our situation in life. During Kambo treatments, we can receive insights, and changes that we need to make can be revealed. With Kambo, an instinctive intelligence is taking over our healing process. Kambo can enable us to end unhealthy habits and thought patterns and allow us to become more open to receive guidance from Spirit. When Kambo found me I was completely out of touch with my desires, my identity, my path and yearning for connection. Upon receiving Kambo for the first time I experienced immediate and profound shifts. Again and again I felt called to receive the medicine. Each treatment allowing me to release resistance, allow wellness and help relax belief patterns that were preventing my expansion. Kambo has allowed me to know who I am, love myself without condition and release blockages and beliefs that were preventing me from noticing my true path. It is an honor to carry this sacred medicine and to serve as guide to people called to receive Kambo. I strive to always work with integrity, humility, compassion and unconditional love as a Kambo practitioner and as a physical and energetic being. It is my intention to provide a safe, peaceful and loving, space for people to go through their own process and to allow the wellness that is within each of us. I am thankful for the many amazing people that working in service of the frog has brought to my doorstep. I am an International Association of Kambo Practitioners trained and certified Advanced Kambo Practitioner who has had the great privilege of studying with Master Practitioner and founder of the IAKP, Karen Kanya Darke. I feel fortunate to be part of the IAKP which offers excellent and comprehensive training and an abundance of support and resources. Additionally, I am a certified yoga instructor and craniosacral practitioner. *This is not an exhaustive list so you must inform your practitioner of any health issues, medications, or supplements that you are taking. Fasting must be avoided for 7 days before or after a Kambo treatment and any water-based detox should be avoided for 3 days before or after. Sacred Medicines Sananga & Rapé will be offered during ceremony. Sananga is a traditional Amazonian eye medicine made from the Tabernaemontana Undulata shrub, which has been used by indigenous people of Peru and Brazil for thousands of years. 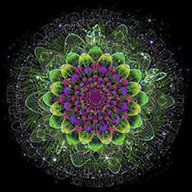 Sananga facilitates physical, spiritual, and energetic healing. It works against negative energy, depression, and stress-induced illnesses. On a physical level, it has been used to treat glaucoma, cataracts, astigmatism, conjunctivitis, dry and red eyes, photophobia, keratoconus, eye infection, sinusitis, chronic headaches, and chronic pain. Sananga can provide visual enhancement, assist in opening the third-eye, balancing the chakras, expanding the aura, and keeping one balanced on an emotional, spiritual, and mental level. Rapé is a sacred traditional Amazonian snuff that connects us to the Spirit of the forest. It is made from sacred tobacco leaf, seeds, spices, bark, leaves, oils, herbs, flowers, and roots, of medicinal plants, and is prepared with prayers and healing intentions. Rapé is blown into the nose using a pipe. During a Kambo treatment, rapé can be used to help in the release of blockages and purging. It can also be used for headaches, sinus problems and to ground and center and intensify concentration. PLEASE NOTE THAT NONE OF THE SERVICES OFFERED ON THIS WEBSITE CONSTITUTE ANY FORM OF MEDICAL PRACTICE. KAMBO IS NOT A MEDICINE. IAKP PRACTITIONERS ARE NOT DOCTORS NOR OTHER FORM OF MEDICAL PRACTITIONERS. IAKP PRACTITIONERS DO NOT DIAGNOSE DISEASE, OFFER HEALTH ADVICE, TREAT PHYSICAL OR MENTAL HEALTH ISSUES OR PRESCRIBE MEDICINES. KAMBO IS A SHAMANIC RITUAL AND CEREMONY FROM THE AMAZON RAIN FOREST- IT IS NOT A MEDICAL TREATMENT. PARTICIPANTS ARE ADVISED TO DO THEIR OWN RESEARCH AS TO THE POTENTIAL BENEFITS OF TAKING KAMBO. NONE ARE OFFERED OR IMPLIED HERE.